A substantial wardrobe isn’t one that can be built in a day because Rome definitely wasn’t. While I do find tips about basics and wardrobe essentials helpful, I just don’t think that we should treat dressing up with a checklist mentality. It is also because of this that I don’t find myself really keeping up with trends since that feels like I’m just completing one task to the next. Everyone’s wardrobe is unique as it should be and there’s no right or wrong way to start building or as I rather call it, editing, your closet. When it comes to fashion, I’m actually pretty practical about it because, for me, comfort is key. I hate the idea of actually getting ready so I’ve been working hard on building a wardrobe that is super easy and versatile. I think a lot about what I want to buy before really committing by making sure that whatever the item I buy, is able to form at least 3 different outfits with all of the clothes that I already have in my closet. 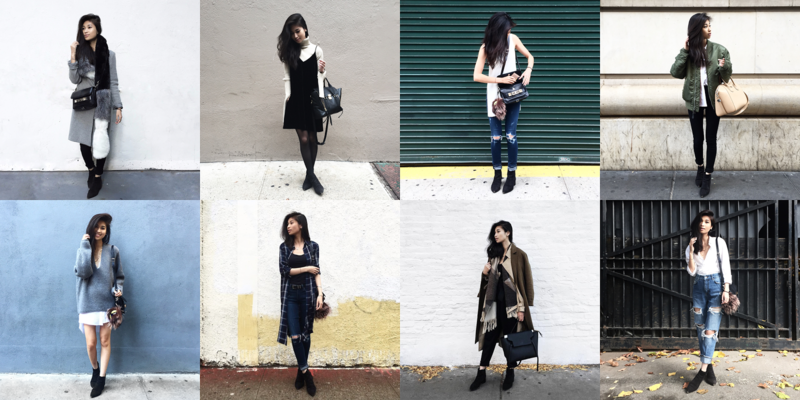 If you've been following me for a while, I'm sure you've noticed that I love styling a single piece in multiple ways. I also really like the idea of dressing from the bottom up, meaning: shoes first. As a shoe person, I genuinely believe that your shoes make your outfit. For everyone that’s struggling to maximize variety in their day to day looks, having different shoes really give you that much more options. I especially love how I can wear the same outfit with a pair of flats or sneakers and it’ll seem like two completely different looks. For me, less is more, as I have the most fun coming up with new ways to wear old things. There is a misconception that in order to be stylish and fashionable, you have to own a lot of things. But as someone who values quality over quantity, it wasn’t enough for me to just say it, but also show it. 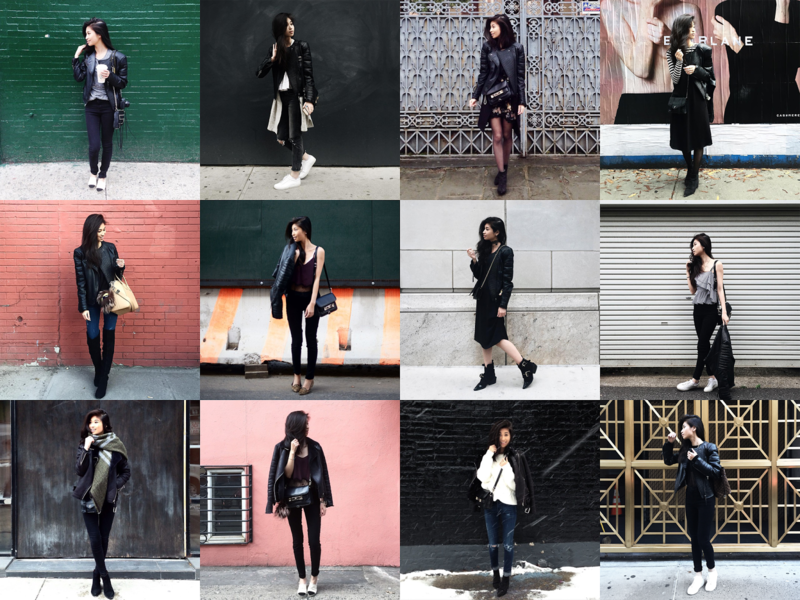 This post is a personal project that I’ve had in mind since a couple of years ago to actually showcase how I formulate my every day outfits and how I manage to blog about fashion with a limited closet. 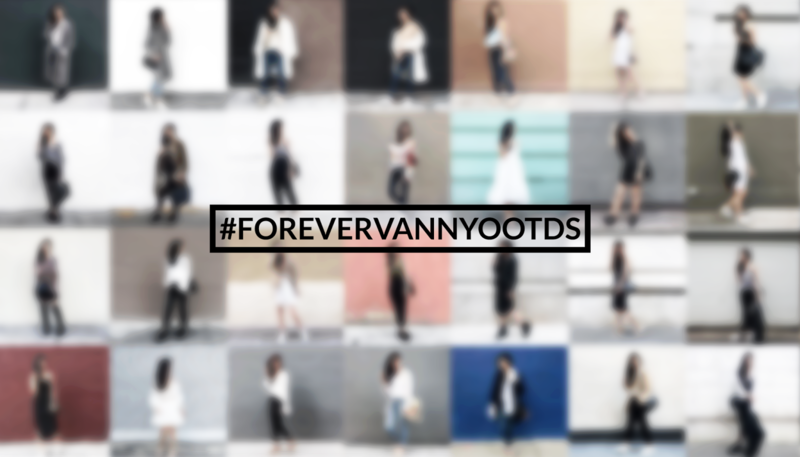 With a few of my most favorite pieces in rotation, here are 100+ different outfits that I’ve managed to document with #forevervannyootds on my Instagram (@forevervanny) in the past year with looks I’ve worn days in between a slightly different variation from some of these. Here are some outfits sorted by some of my most worn pieces. This jacket is 4 years old and it was from Mango, but it's one of my most worn pieces because of how unique it is. It goes pretty much with all my girly or edgier looks. I also love this jacket in a beige as well. Coats are really important to make your look complete in the winter and fall. They're also great for layering. 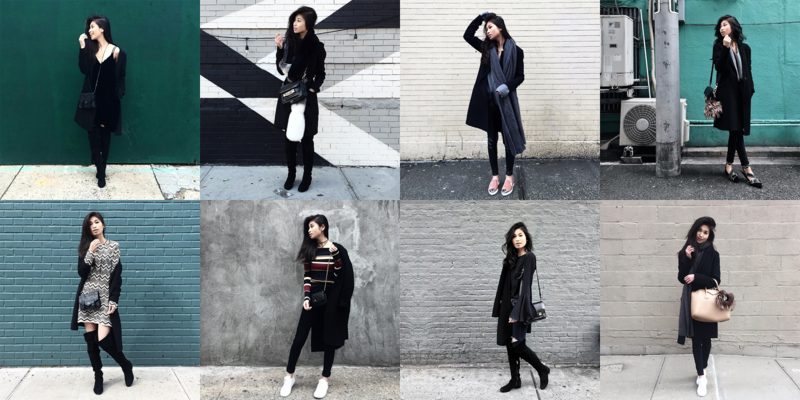 Each year I add one coat to my collection and in the past couple of years, I've formulated a very good rotation of coats that compliments the rest of my wardrobe based on color, texture, and fit. Going back to the point I made above about dressing from the bottom up, my wardrobe basically revolves around a pair of OTK boots, ankle boots, and a pair of white low top sneakers. I discovered the Acne Studios Jensen ankle boots a few years ago, long before they were available in more than 2 colors, hence why mine don't even have the updated metal tips (but I prefer it that way anyway). These boots are quite an investment but they really go with everything I wear and they work for semi-formal events as well. 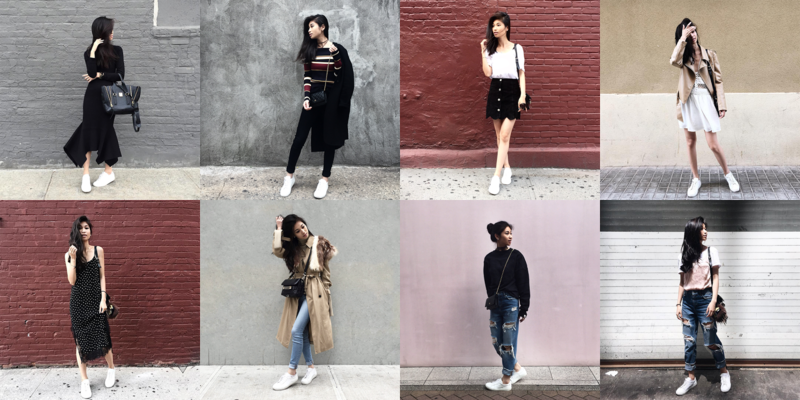 On all casual occasions, my Common Projects are my go-to sneakers. I've had these for two years and they just get better and better over time. “Why fashion?” Is a question I get asked all the time. And for me, it’s something that I feel is really intimate yet very public. No matter who you are, what your job is, financial situations, race, ethnicity or gender - we all make a conscious decision to wear what we wear every day. Clothing is a reflection of ourselves and for those of us who have the luxury to pick and choose, I hope that I can inspire some of you to think better about the things you buy and create a better way of life by getting dressed in a more thoughtful manner. I also hope that this will encourage those of you who don’t have a lot of clothes or don’t think you have the resources to pursue fashion or styling of any sort to reconsider as well. Now that I've gotten a foundation on my wardrobe, I'm looking forward to adding more statement pieces and incorporating more colors, patterns, prints and fine jewelry into it.